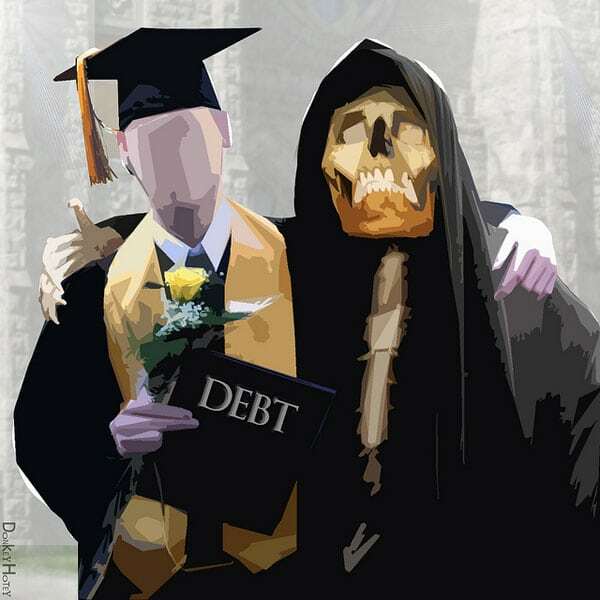 According to the Federal Student Aid office, the typical student borrower obtains a loan of $6,600 a year, averaging a cumulative $22,000 by graduation. Of borrowers who started repaying in 2012, just over 10 percent had defaulted on their loans three years later. But over the following two years, the number of defaults increased to 16 percent—totaling more than 841,000. Nearly as many were severely delinquent. Collectively, these borrowers owed more than $23 billion, with more than $9 billion in default. “Nationally, those are crisis-level results, and they reveal how colleges are benefiting from billions in financial aid while students are left with debt they cannot repay,” wrote Ben Miller, senior director for postsecondary education for the Center for American Progress, in a New York Times commentary. According to Miller, one common tactic of colleges that gets borrowers into trouble is to encourage them to defer their repayments until a later date. This works for the colleges, who are evaluated on the percentage of students who default in the first three years after graduates, but often fails the students. Federal law requires all colleges participating in the student loan program to keep their share of borrowers who default below 30 percent for three consecutive years, or at no more than 40 percent in any single year. However, Miller cited an analysis showing that five years after loans were issued in 2012, 636 schools reported high default rates, with for-profit institutions having a particularly egregious record. Forty-four percent of borrowers at for-profit schools faced some type of loan distress, including 25 percent who defaulted. In fact, most students who defaulted between three and five years into repayment attended a for-profit college. Evidence that this “debt trap” is having significant impact is offered by a new study published in the journal Demography. It shows a correlation between college attendance and rising foreclosure rates. The study, which looks at annual changes in college attendance and home foreclosures in 305 American metro areas (covering as much as 85 percent of the US population), finds that nationwide, a one percent increase in college attendance is associated with 11,200–27,400 additional foreclosures. The research demonstrates the extent to which rising college tuition—and the resulting loans—are a burden on American families and have serious implications for housing stability and economic mobility. According to NPR, the CFPB has handled more than 60,000 student loan complaints since 2011 and returned more than $750 million to aggrieved borrowers. However, over the past year, the Trump administration has increasingly marginalized Frotman’s office. For example, in December, the Department of Education announced cuts to debt relief for students who claim they were defrauded by their colleges. Last August, the US Department of Education announced it would stop sharing student-loan information with the bureau. And earlier this month, Education Secretary Betsy DeVos took steps to scrap a rule designed to punish schools where graduates struggle with deep debt.